A DUI in the commonwealth of Massachusetts can cost you thousands of dollars, loss of your driver’s license, and even jail time. As severe as the penalties can be, they are even harsher for those convicted that are under 21 years of age. The threshold for administrative license suspension is lower and the penalties harsher for those that are charged with DUI before reaching the legal drinking age. It is not uncommon for young people to make mistakes or to make poor decisions but the seriousness of being charged with DUI before the age of 21 can have a lasting impact on a young person’s future. It is important to speak with an attorney as soon as possible if you or a loved one are facing a criminal charge of DUI under the age of 21. Anyone accused of drunk driving, no matter their age, faces criminal penalties through the court system as well as administrative penalties through the Massachusetts Registry of Motor Vehicles (RMV). Criminal law and penalties are the same for those under 21 years old as they are for those over 21 years of age. This means that the Commonwealth must still prove their case in court beyond a reasonable doubt and the legal limit of intoxication is still .08% blood alcohol content (BAC). 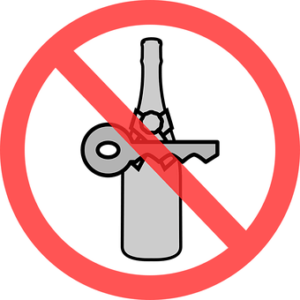 If you are under 21 years old, however, you face administrative penalties for a BAC of .02% or higher. In effect, if your BAC is .02% this means that you failed the breath test and your license will be suspended for a period of 30 days. This penalty is separate and apart from additional suspension you may face as part of the Youth Alcohol Program (YAP) (see below). If your BAC was .08% or higher, you face criminal penalties for OUI in addition to those imposed by the RMV. If you are under 21, you also face more severe penalties for refusing the breath test. For those over 21 years old, your license is automatically suspended for 180 days following a breath test refusal. For anyone under 21 years old, the automatic license suspension is for a period of three years. You must provide proof of YAP enrollment to the RMV in order to reduce or waive this additional suspension. The suspension can also be reduced if you are eligible for a first offense alternative resolution under the 24D Disposition. Speak with an attorney about the 24D Disposition and other options that may be available to you or your loved one. Being convicted of a criminal offense before the age of 21 can have a significant impact on you or your loved one’s future. There may be legal defenses and other options available to help reduce or eliminate the penalties associated with a DUI. The lawyers at OUI Attorneys are available to help you or your loved one through the legal process and to help protect your reputation and your future.